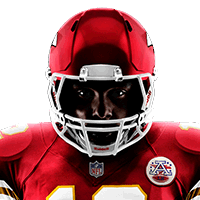 The Chiefs allowed 38 points and 464 yards of total offense against the Seahawks in Week 16. They will face the Raiders in Sunday's regular season finale. The Chiefs enter their Week 16 matchup with the Seahawks ranked 31st in total defense (409.4 YPG). Kansas City surrendered 321 total yards of offense during Sunday's 27-24 win over Baltimore. Kansas City surrendered 442 yards of offense during last week's 40-33 win over Oakland. 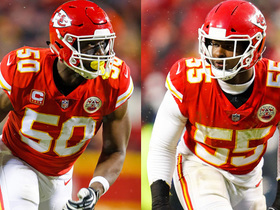 Analysis: It's a bit troubling to see Kansas City play down to the competition, but that's what can happen when owning a Swiss cheese defense. If the Chiefs aren't careful, they could knock Cincinnati out of last place in total defense. They're certainly teetering the line as it already is. 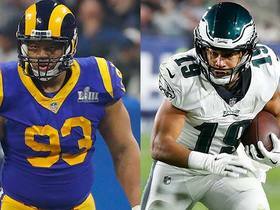 If Kansas City is going to make a run at the Super Bowl, it better hope the defense rights the ship before the season sinks away. 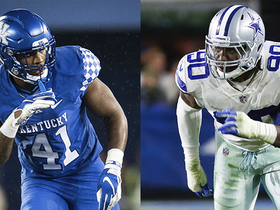 Kansas City boasts the league's 30th-ranked total defense (414.7 YPG) entering its Week 13 matchup with Oakland. 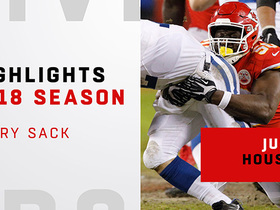 Analysis: The Chiefs' defensive struggles have been well-documented throughout the season. Regardless of what is causing the problems, Kansas City has proven to be unreliable on weekly basis. 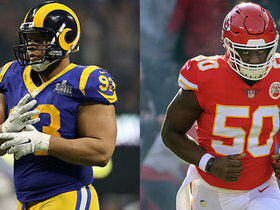 Fresh off a bye, the Chiefs will look to use the showdown with Oakland as a bounc- back game following their narrow loss to the Rams in Week 11. The Raiders have plenty of offensive issues themselves, but the Chiefs have surrendered at least 23 points in each of their divisional tilts this season. The Chiefs have the 30th-ranked total defense (414.7 YPG) entering their Week 12 bye. The Chiefs boast the league's 29th-ranked total defense (410.7 YPG) entering Monday's tilt with the Rams. 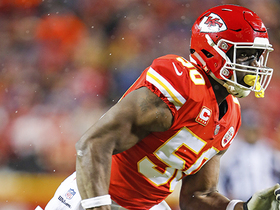 Chiefs linebacker Justin Houston is dealing with a hamstring injury ahead of Sunday's tilt with Arizona. 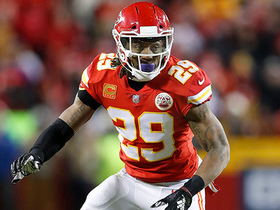 NFL Network's Mike Garafolo explains why the Kansas City Chiefs released safety Eric Berry. 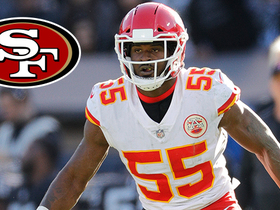 NFL Network Insider Ian Rapoport outlines Kansas City Chiefs and San Francisco 49ers libnebacker Dee Ford trade details. 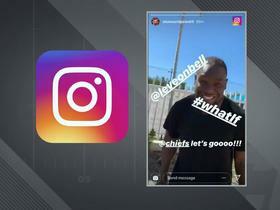 NFL Network's Mike Garafolo discusses whether the Kansas City Chiefs could keep safety Eric Berry with the expected signing of Tyrann Mathieu.